Consistency of Chia (Below is with Coconut and Hemp Milk and is pictured for what Chia Seeds look like after they have expanded in liquid. I say move over Oatmeal, there is a new Sheriff in town! As far as Chia seed pudding goes, I’m a HUGE fan. I love it. I can’t get enough of it. It’s filling. The creamier the better. The more toppings the better-and you don’t have to feel guilty about it! It’s like dessert for adults. And you can eat it for breakfast too! It’s so EASY to make!! So easy, that often I make two or three of them before bed, and the prep is done in 10 minutes! You can load it with toppings like nuts, seeds, berries, dried fruit, fresh fruit, frozen fruit, oats, granola, warmed sweet potato, mashed banana, raw cacao nibs, dark chocolate, shredded coconut, coconut butter, cocoa powder-the sky is the limit, but the trick is to stay with healthier toppings as opposed to candy, cookies and cereal. I prefer going sugar free when it comes to Chia Pudding. Meaning, no added sugar. But if you are a sugar whore and you need your fix try maple syrup, raw honey, coconut sugar. And just a little goes a long way. The best part is? Your brain thinks it’s dessert! So you think you are eating a treat, but low and behold it’s healthy! The benefits? OMG this little seed is LOADED with goodness! Was eaten by the Aztecs for strength. Boosts energy! It’s a healthy fat but low in fat! This version uses a water base. It’s a little lighter. Using Organic Chia seeds is best. What is the dilly with Chia Seeds? Well, when you add them dry they do not expand but are still delicious and packed with the nutrients above. But when you add liquid they expand, get larger and the quantity becomes doubled. It’s like Jello. Jello doesn’t become that gummy consistency until it sets in water in the refrigerator for a few hours. That’s like Chia. When they expand you get your pudding consistency. 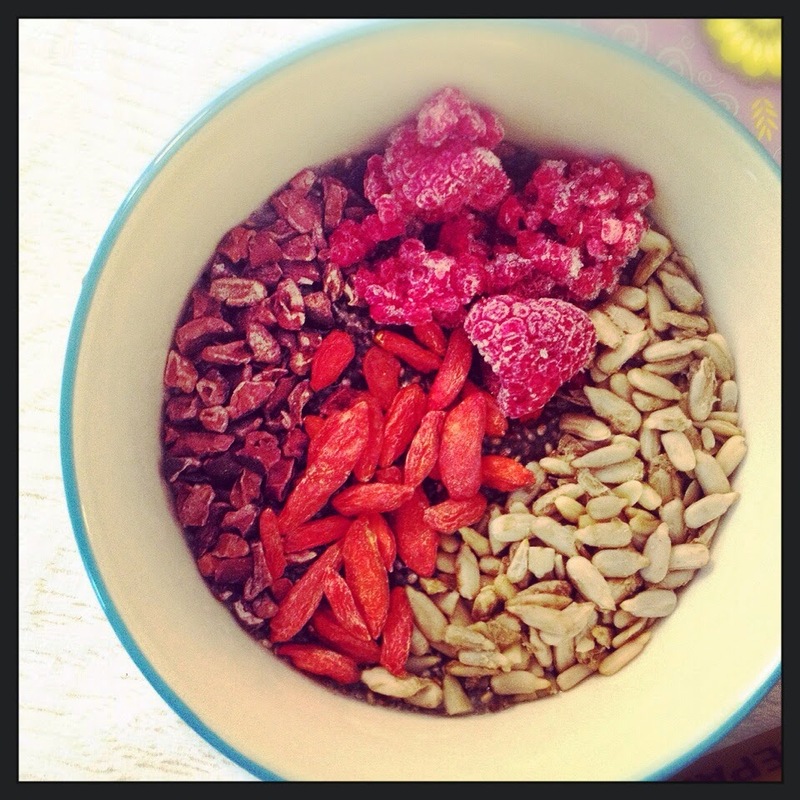 By now you might be wondering what Goji Berries and Raw Cacao Nibs are. They are Superfoods. That means they have more nutrient packed benefits then most. Vitamins, Nutrients, Trace Minerals, Healthy Fats, Protein and healing properties. 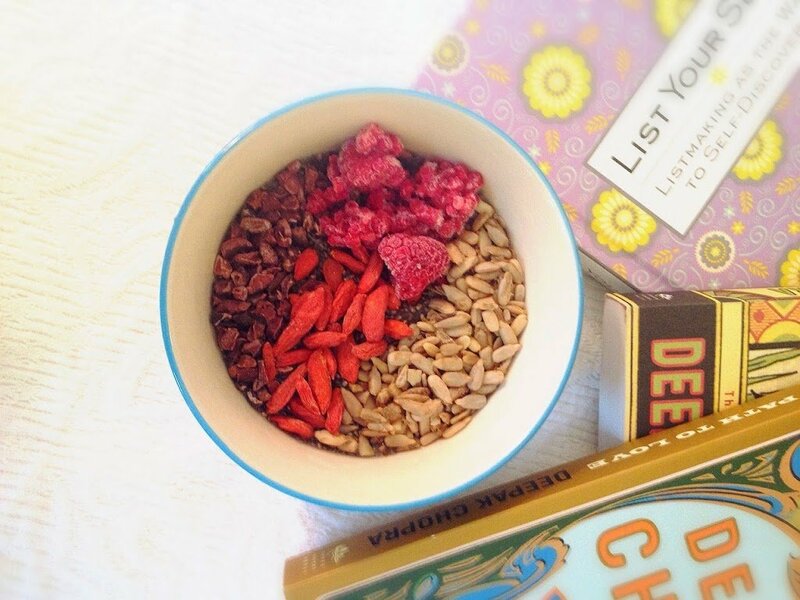 Goji Berries are known for lasting life according to Chinese Medicine and they are the most nutrient rich berry and antioxidant. Raw Cacao nibs provide lots of Magnesium, is a natural source for energy and at the same time aids in sleeping. Did you know that Chia seeds are considered a Superfood? Yup! Lucky you!! 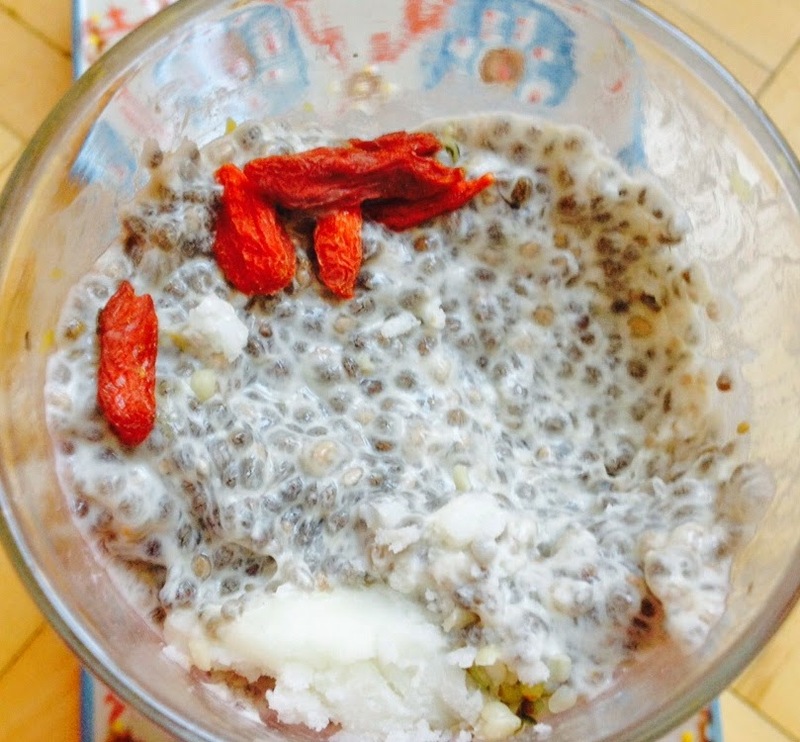 Are Superfoods Necessary for your Chia Pudding? No they are not. Superfoods are pricey. They are best bought Organic online on Amazon or Vitacost. Buying retail will cause you to faint on sight because of the price increase. Therefore if your wallet cannot afford all Superfoods, simply choose one as a little goes a long way, and then stick with your more affordable toppings like dark chocolate (70 percent and higher, frozen fruits, mashed fruits, fresh fruits, dried fruit, oatmeal, oats, granola etc). 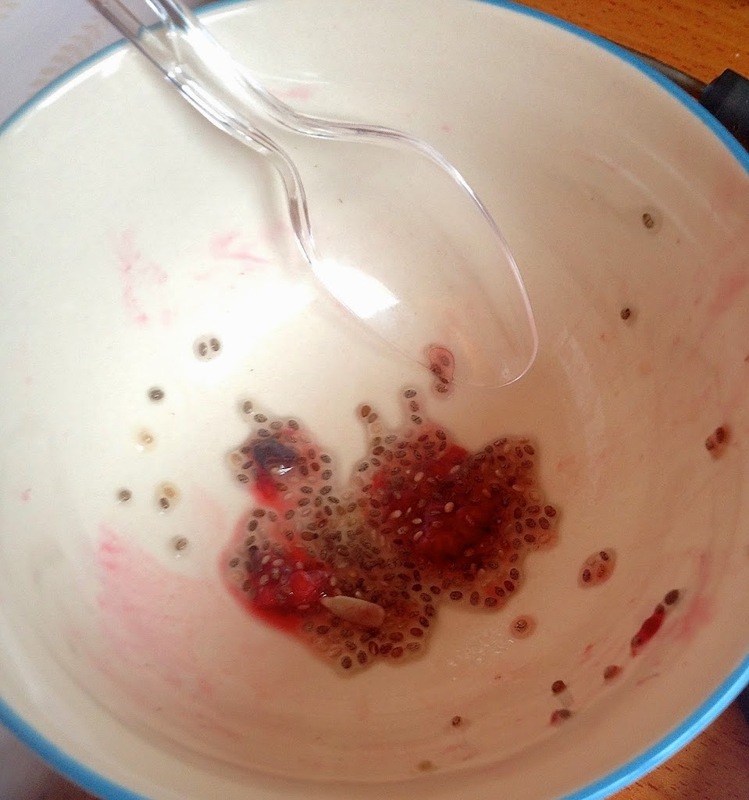 What I love about Chia Seed Pudding is that all you need is a good base. The rest is up to you. Create my darlings, create!